﻿ Cameras-case-study - A look at issues and engineering associated with cameras and the way they work - Design & Technology On The Web - Mr Richmond Help - Voltage and the 'Potential divider' - An introduction to KS3 electronics for students of Design and Technology -- Potential dividers - voltage dividers - a simple introduction for students of KS3, KS4 and GCSE in an easy-to-follow series of guide pages. Electrons, Current & Potential Dividers. Often the link is made between a flow of water and a flow of electrons – both are associated with the term “current” to describe the flow from one place to another. 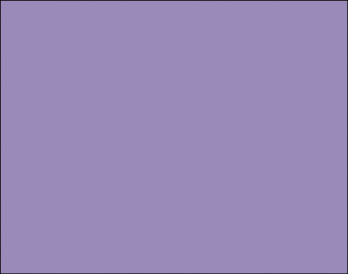 Similarly the drop from a point at which something has potential energy to a point ‘lower down’ is analogous to both a waterfall and the ‘potential difference between the positive and negative terminals of a battery. 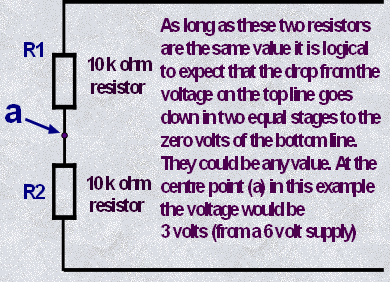 If the drop from 9 volts down to zero volts were to be compared to a waterfall with a step half-way down its height we have a similar situation to a circuit having two resistors of the same value wired in series and working as a potential divider. 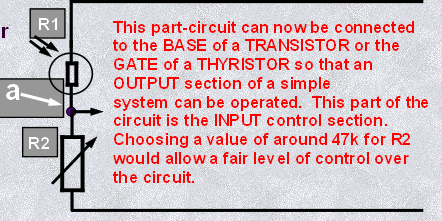 So if you need to control voltage in a light sensitive circuit for example then by having a large resistance in the place of R2 there is always a ‘high’ voltage at point ‘a’ - so a transistor or thyristor will switch on. 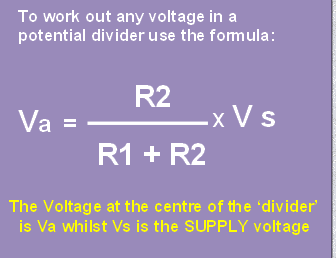 If the large resistor is at R1 then there is always a low voltage at point ‘a’. 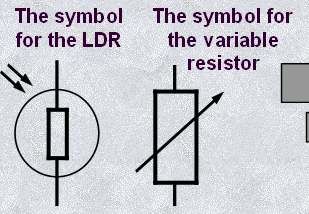 Of course by having a ‘light-dependent-resistor’ (LDR) as one of the resistors – the voltage across the LDR will drop as more light falls on the component. By also including a variable resistor as the other component in the voltage-divider, total control can be achieved and the circuit set up with the sensitivity required.